Unfortunately tennis injuries are very common. 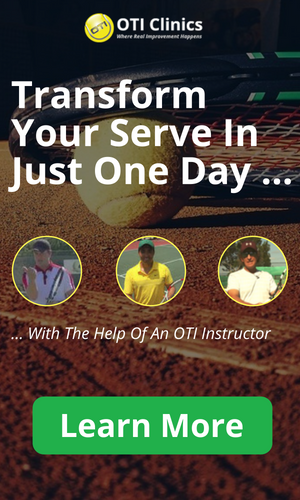 Tennis is a very one-sided activity which often results in the muscles on one side of the body becoming overly strong compared to the other side. Often this also results in the muscles becoming tight or short as some people might say. Tennis players are often very inflexible in certain areas of their body! The most common Tennis injuries are overuse injuries caused by many repetitions of a one-sided activity like hitting thousands of serves for example. The other type of injuries common in Tennis, are acute injuries which happen in an instant, like rolling your ankle for example. The more dangerous injuries in Tennis in my opinion are the overuse injuries because they can be very tough to heal and even become chronic in some cases. Let’s take a closer look at the most common tennis injuries! Tennis elbow is probably the most common tennis injury in the world! Everybody has heard of tennis elbow and even people that don?t play Tennis can suffer from this devastating injury. With tennis elbow the tendons and ligaments that connect the forearm muscles to the elbow are damaged or have small tears. This condition is extremely difficult to heal because there is very little blood flow in the area for healing the damaged tissue. Usually the cause for tennis elbow is a repetitive overuse of the forearm muscles like hitting tons of one-handed backhands! These muscles then become very tight and short which results in a lot of pressure on the tendons and ligaments connecting with the elbow. Often this injury can become chronic and it is not unusual for it to take a very long time to heal! It is therefore very important in my opinion for tennis players to perform exercises to prevent tennis elbow! Shoulder tendinitis is another overuse injury common in tennis. 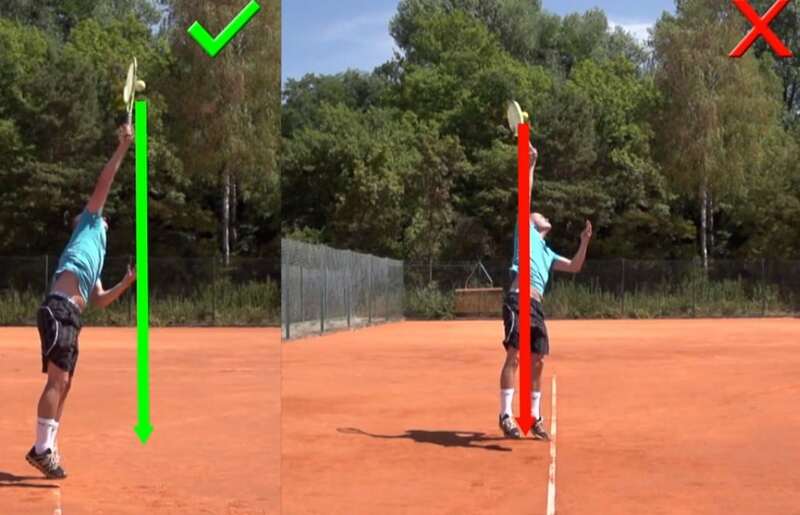 The tennis serve is often the activity that can cause pain in the shoulder. Similar to tennis elbow, shoulder tendinitis is very difficult to heal and can be extremely painful. Again there is usually damage to the tendons and ligaments connecting muscles to the shoulder joint and there is very little blood flow in the area to heal the damaged tissue. Often people with this condition cannot lift their arm up higher than shoulder level! Treatment usually includes rest, ice and physical therapy. I believe it is very important to stop playing when you first notice pain in your shoulder. Once the pain gets too strong it becomes extremely difficult to get rid of it! Similar to tennis elbow a preventive exercise program should be in place for any active tennis player! Another common form of tendinitis with Tennis players is wrist tendinitis. Again you have overuse of a certain muscle group that leads to damage in the tendons that are attached. This wrist injury can also range from mild to severe and chronic. I believe that it is therefore important to immediately stop playing and using your wrist once you feel pain in that area! Most of the time tendinitis becomes chronic only when people continue to play through the pain for a while and the pain slowly gets worse! Treatment again usually consists of rest, ice and physical therapy. Sometimes steroid injections will be given into the affected area. The best way to avoid wrist injuries is a preventive exercise and flexibility program. Strengthening and stretching of the forearm muscles is very important for tennis players! Knee Tendinitis is probably the most common form of knee pain. It is a very common injury among runners, yet tennis players also suffer from this condition quite often! There are many different tendons in the knee area that can be affected. Most often it is the so-called Patella tendons that cause problems! Just like with the other tendinitis injuries, it is extremely important to stop the activity that is causing the pain as soon as possible! Typical treatment consists of rest, ice and elevation. In order to avoid knee tendinitis every tennis player should have a proper stretching and strengthening program in place! Another common tennis injury is Achilles tendinitis. The Achilles tendon is the strongest and largest tendon in the human body. It runs down the back of your lower leg to your heel. This condition can be very painful and is usually caused by activities with sudden stops and starts like playing tennis or basketball or other sports of that nature. Once you have Achilles tendinitis it is quite difficult to get rid off it since the tendon and the surrounding muscles are involved every time you walk. In order to avoid this condition it is very important to always warm-up properly! Similar to the other tendinitis injuries, the best way to prevent it is to have a good stretching and strengthening program in place! Sprains and Strains are very common tennis injuries. With a sprain it is the ligament (ligaments connect bones to each other) that is injured whereas a strain is an injury to either a muscle directly or a tendon connecting muscle and bone. Typical sprains in Tennis are ankle (see below), knee and wrist sprains. Usually rest and ice are the treatment of choice for sprains. Most mild sprains will heal in a pretty uncomplicated fashion with enough rest. Only really severe sprains may require surgery to repair torn ligaments! Typical strains in Tennis are back, hamstring and calf strains. For strains the first treatment also consists of rest and ice. Most mild strains also heal in an uncomplicated way with enough rest! This is one of the most common injuries in Tennis. It is commonly known as a rolled ankle. This is a typical tennis injury because in Tennis you have to change directions fast and often and additionally you are up in the air with your feet quite often. All of these movements can result in the typical ankle sprain. After the injury there is usually severe swelling right away. The ligaments involved could be only overstretched, slightly torn or completely torn. Right after the injury happens it is most important to rest and ice the swollen ankle as soon as possible! The goal is to minimize swelling. Often doctors will prescribe a rehab program after the injury and special ankle braces can be worn to avoid reinjuring the ankle!